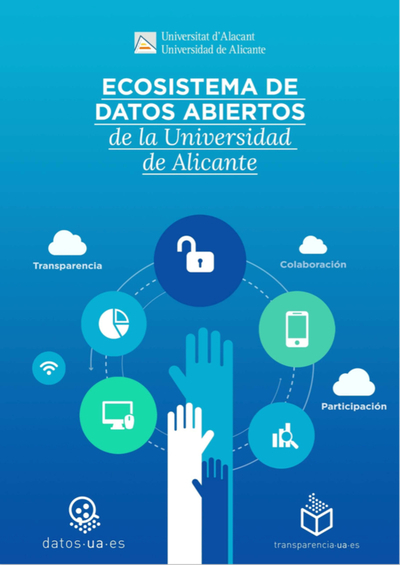 The present rid "Ecosystem of Open Data of the University of Alicante" pretends to be of utility for those Universities interested in developing politics of transparency and open data. In him it details the experience of the University of Alicante in the implantation of his "Ecosystem of Open Data", so much the normative appearances, procedimentales like the technological. From the book links the software "Technological Ecosystem of Open Data of the University of Alicante" that looks for to facilitate some surroundings of technological collaboration between Universities. It creates of this form, the embryo of a network of technological ecosystems of university open data.